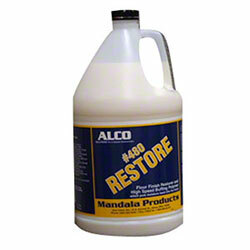 Alco Restore - Alco-Chem, Inc. Formulated with thermoplastic polymers and detergents for fast and easy finish touch-ups. Simply mop on..dry buff for "just-waxed shine".